Is Tom Brady Backing Donald Trump for President? 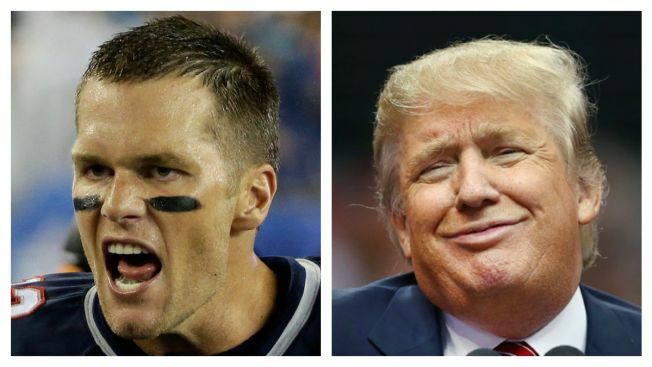 Is Tom Brady endorsing Donald Trump for president? New England Patriots quarterback Tom Brady stopped short of endorsing Donald Trump for President on Wednesday, but he did say he hoped the Republican candidate can win election. "That would be great," he told reporters. The comments came after a Trump "Make America Great Again" hat was spotted in Brady's locker a week ago. Brady said during an interview on WEEI-AM that the hat actually came to him through owner Robert Kraft. The All-Pro quarterback has known the reality TV star turned presidential frontrunner since 2002, when Brady served as a judge for one of Trump's beauty pageants. Trump was very supportive of Brady during the entire "Deflategate," ordeal, tweeting messages of support on numerous occasions.